This is a sponsored post on behalf of Energizer. 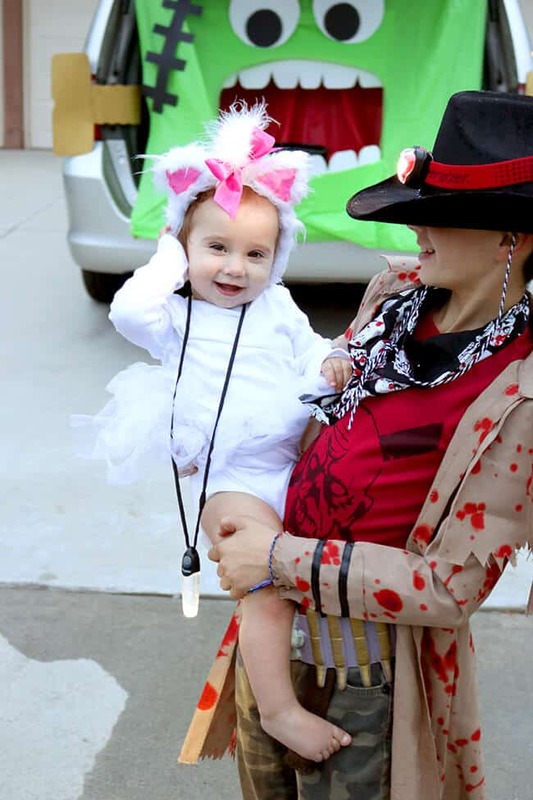 Halloween is one of our favorite times of year. 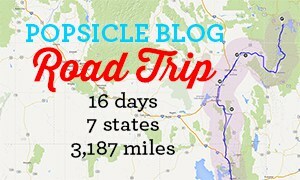 i actually think that each year gets more and more exciting. 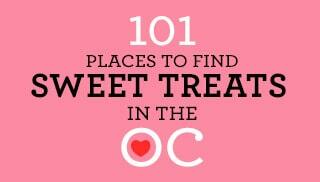 the parties get better, the costumes get better, and the treats get better. 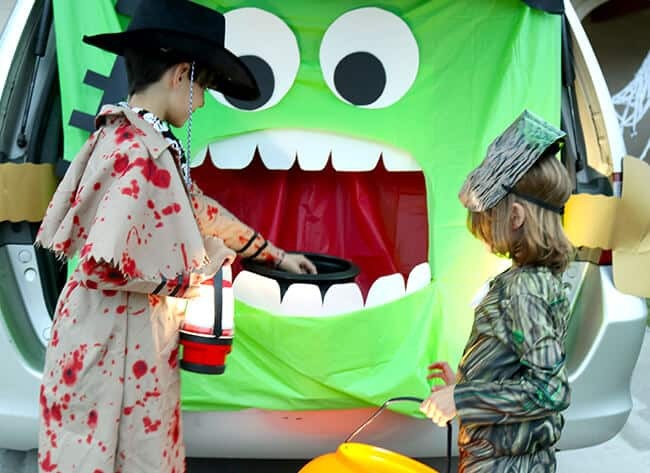 Halloween is a super exciting time for all – filled with mini monsters, spooky snacks and creative carvings. but little ghouls and goblins running around the neighborhood after dark can give some parents a scare. 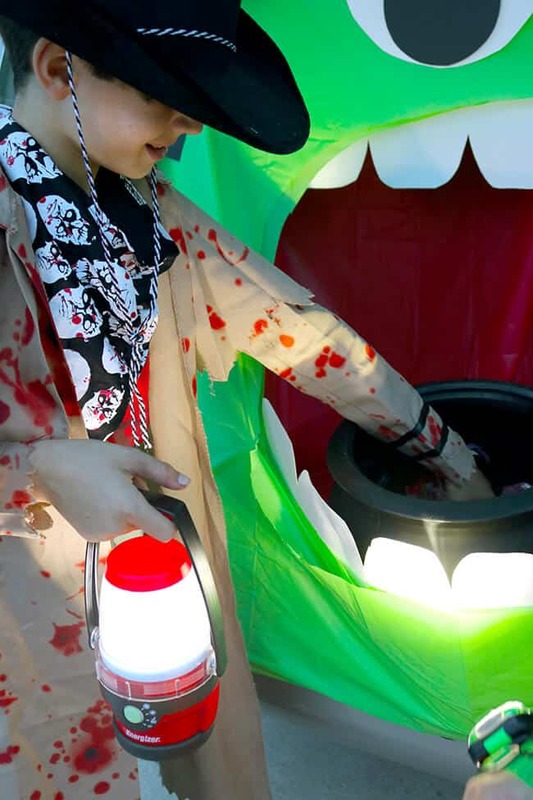 so i have partnered with Energizer® to show some great ways to help you light up the night, so you can focus less on the fright and more on the fun. 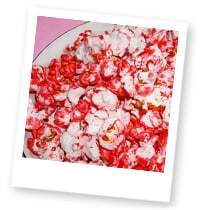 PLUS…i am also sharing some fun Halloween party ideas, so be sure to read the entire post! 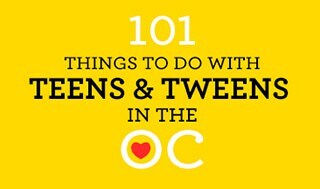 i have also shared all of these tips on FACEBOOK LIVE, so you can head over to my Facebook Page to watch me in action! Energizer has a great selection of LED Lights that i used in lots of fun ways to light up our Halloween. the best thing about using LED lights is that they are safe and won’t catch on fire. gone are the days of lighting up a pumpkin with a candle. 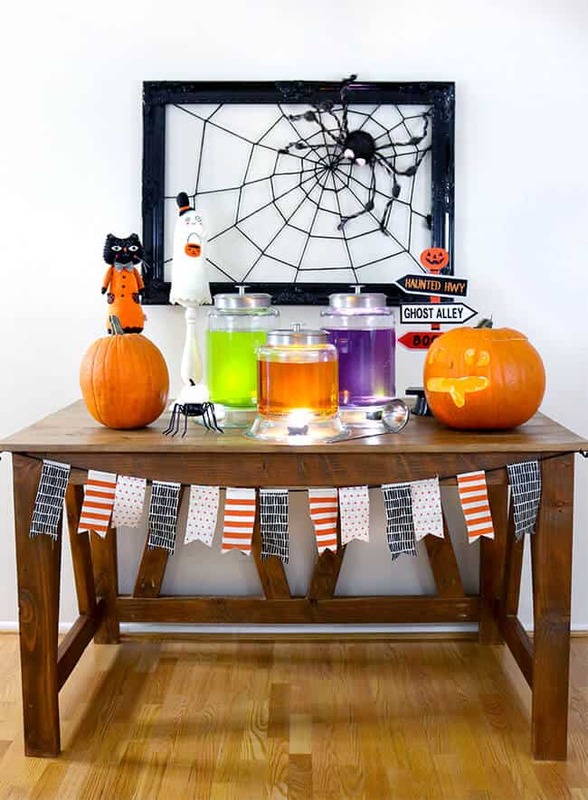 first of all, how about setting up this fun Glowing Drink Station for you little ghouls and goblins. you will need clear jars or pitchers to hold the drinks. 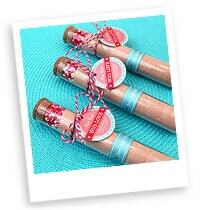 the ones i used were bought at a craft store, but they can be find at many local chain stores. you can color water, juice or soda with food coloring. 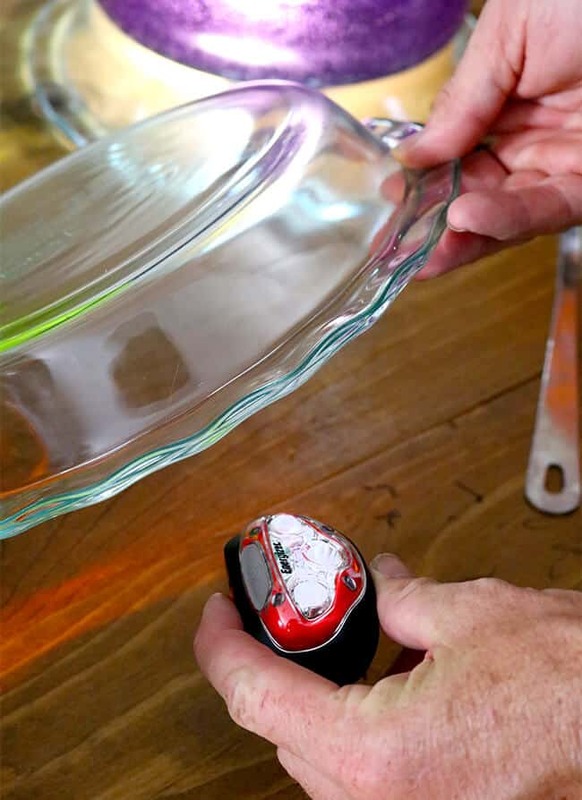 you will also need a clear pie dish or short bowl to place underneath each drink container. i recommend using pie dishes because they make the most stable bases. i found them at my local chain store for under five dollars each. 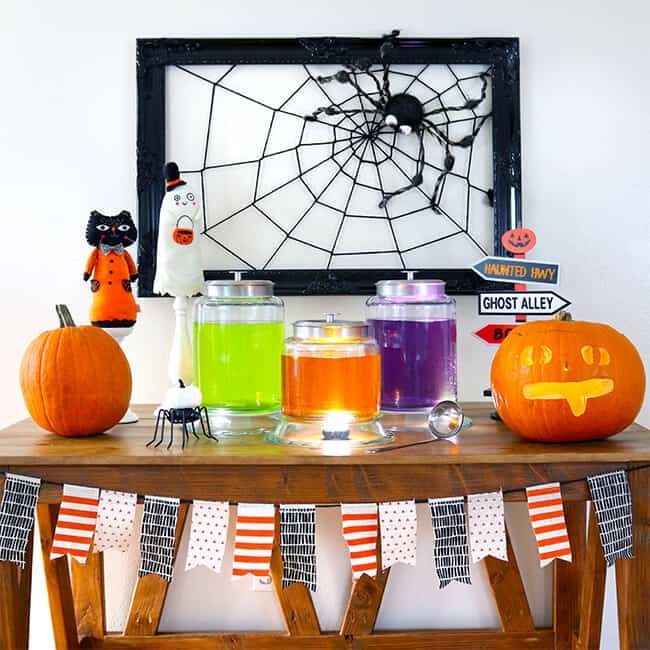 when you set up your Glowing Drink Station, you will want to place all your decorations on the table and decide on placement before you fill up the drinks. when it’s party time, fill up your drinks and get ready to GLOW! place either an Energizer® LED Magnet Light or an Energizer® HD Vision headlight underneath each of the clear pie dishes or bowls. i actually prefer using the Energizer headlights because they are a little brighter, but both work great to light up the punch. now, place your drink container on top. get ready for a fun spooky glow. you could even add dry ice for more fun! just imagine how great these look in a darkened room. 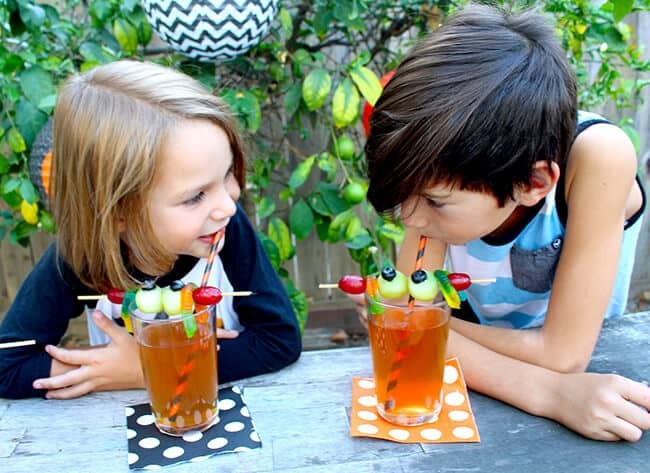 did you see the spiderweb frame behind the drinks! 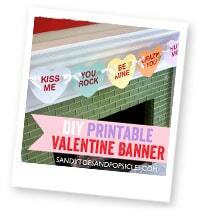 believe it or not, it’s really easy and inexpensive to create. 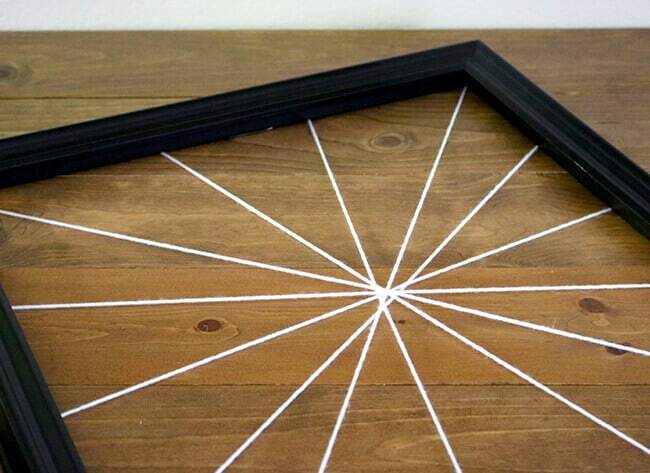 all you need is yarn and a frame. any size will work. 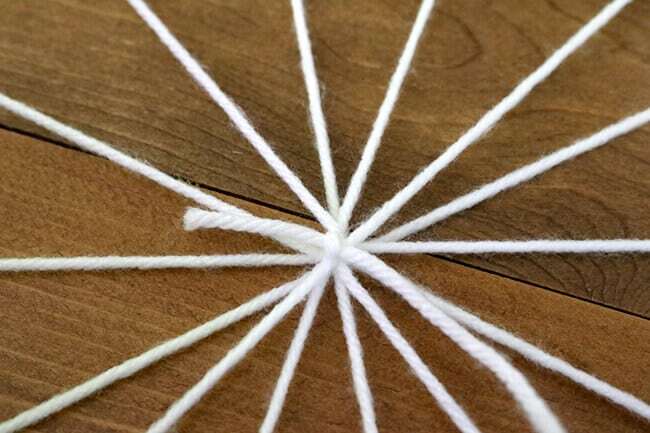 first, tape lengths of yarn to the backside of the frame in a wagon wheel pattern. 5-6 pieces will do. 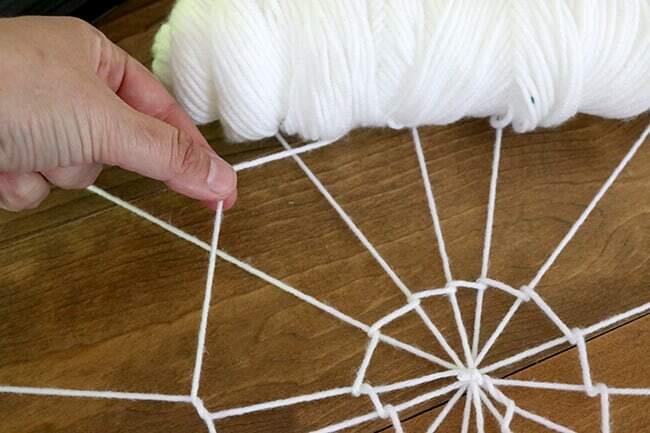 then using more yarn, tie the end in a knot at the center of the web. 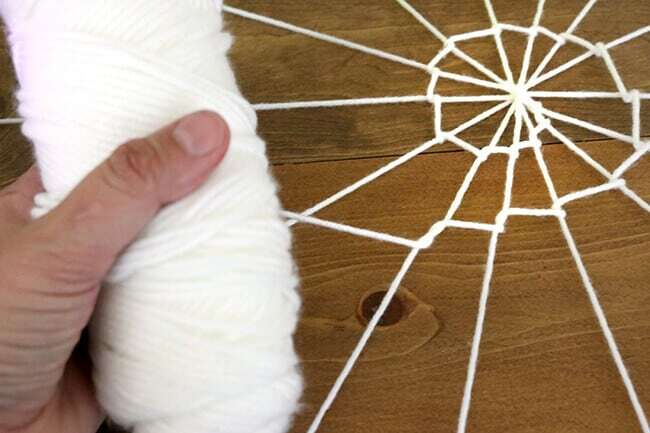 next, starting from the center in a clockwise pattern, wrap the yarn around each strand. you will want to go over each strand first, then under and around again. then onto the next. continue wrapping until the web is finished. you will want to adjust it as you go to make sure it’s even and spiral. you can place a spider onto the web if you’d like. 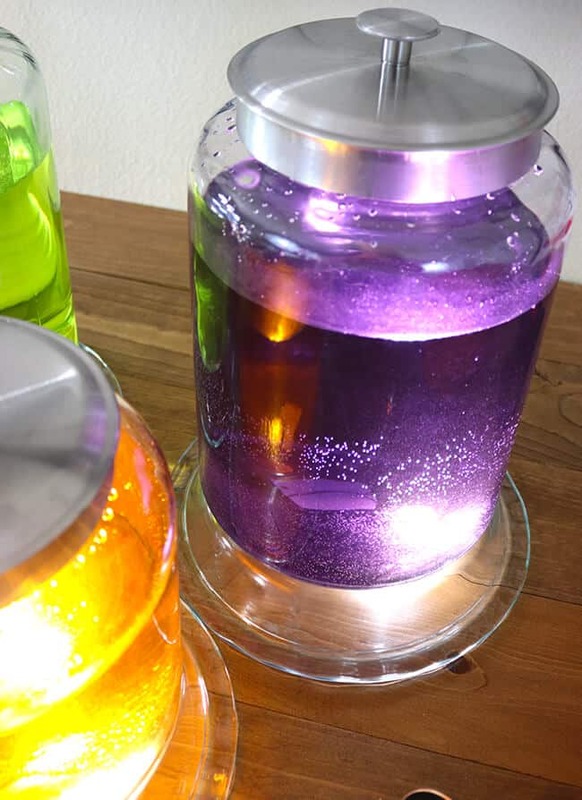 it makes a great backdrop for your glowing drink station, or hang it over the mantle. now to finish decorating your drink station. 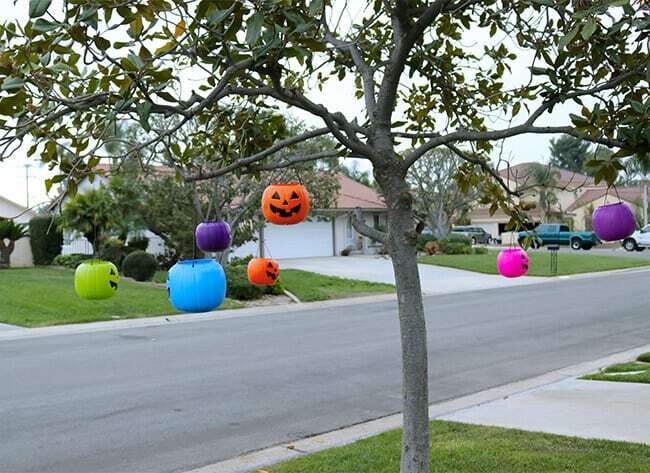 use Halloween decorations of different heights, a flag banner or a lighted Jack-o-Latern also makes a nice touch. make sure to keep it simple. less is more! here’s a Tip for Making Your Carved Pumpkin Last Longer. 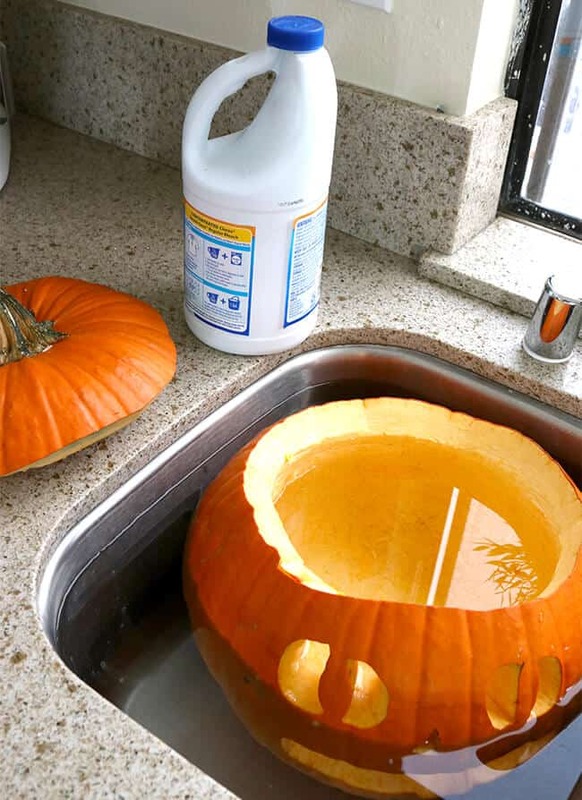 after you carve your pumpkin, fill the sink up with water. add 2-3 tablespoons of bleach to the water. then, submerge your pumpkin. make sure to wash all of the debris and seeds out of it. 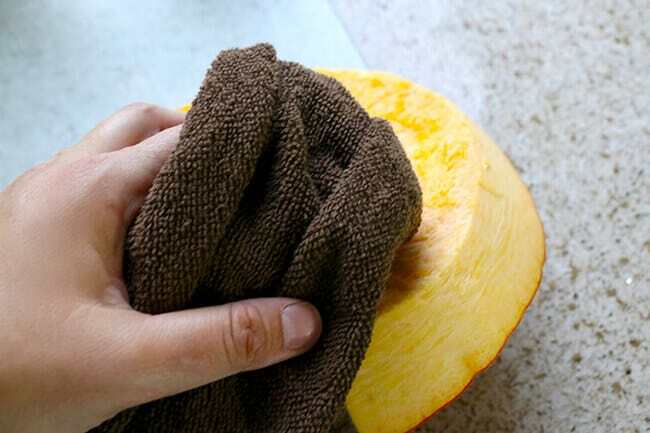 then, completely dry your pumpkin. this with get rid of any bacteria on it, and help it to last a little longer before it starts to rot. 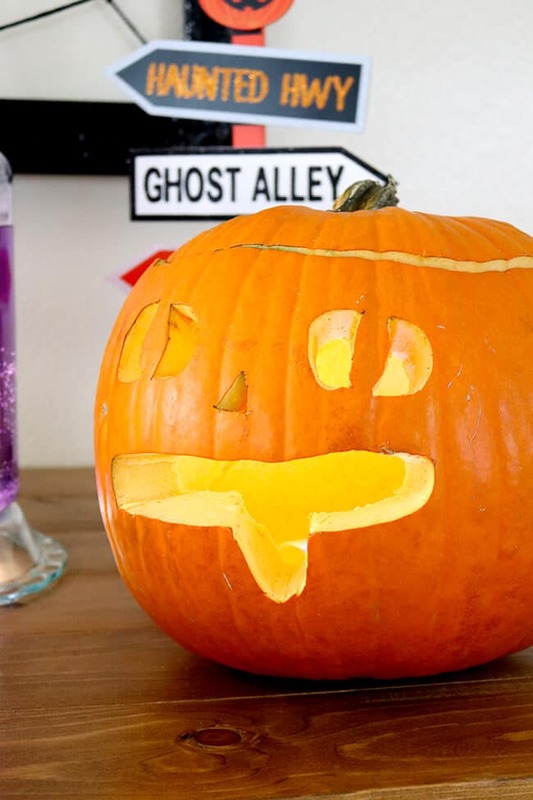 once your jack-o-lantern is all dry, it’s time to light him up! like i mentioned before, you don’t want to risk a fire by using a candle in your jack-o-lantern (especially here in Southern California). 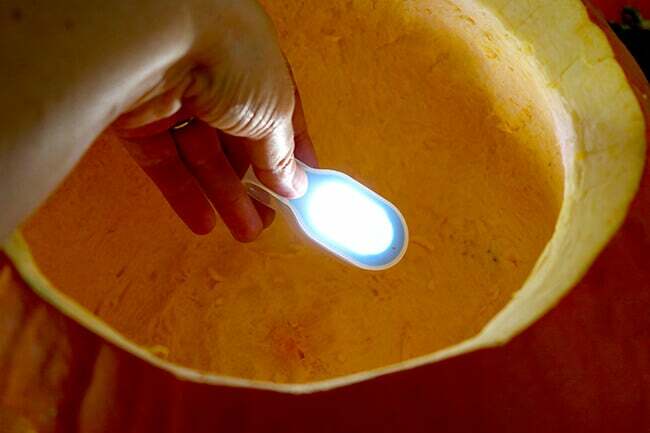 use the Energizer® LED Magnet Light in lieu of a candle to keep your jack-o-lantern radiant. it’s simple, just turn on the light and set it inside! now the drink station is complete! 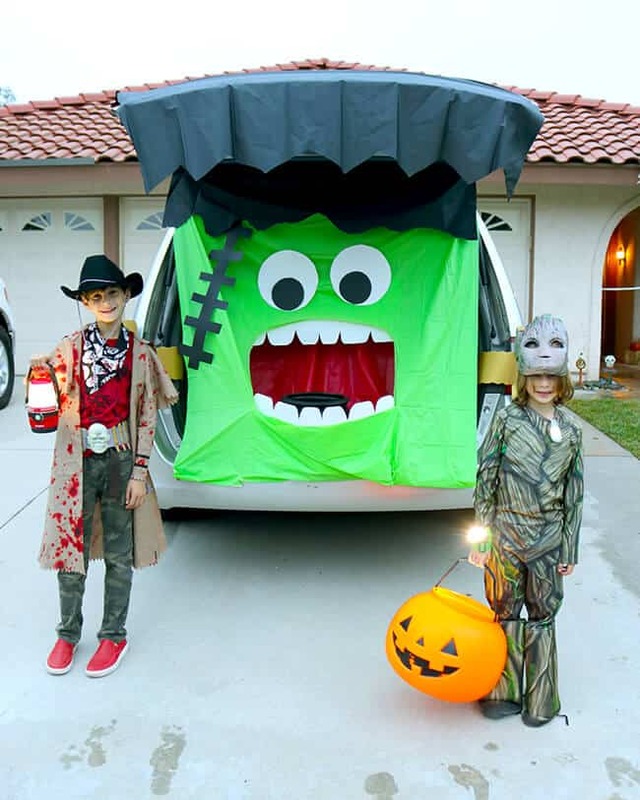 have you been to a trunk-or-treat? they are becoming very popular nowadays. instead of going door-to-door to trick or treating, you go car-to-car. people also decorate there cars for Halloween. its called Trunk or Treat. 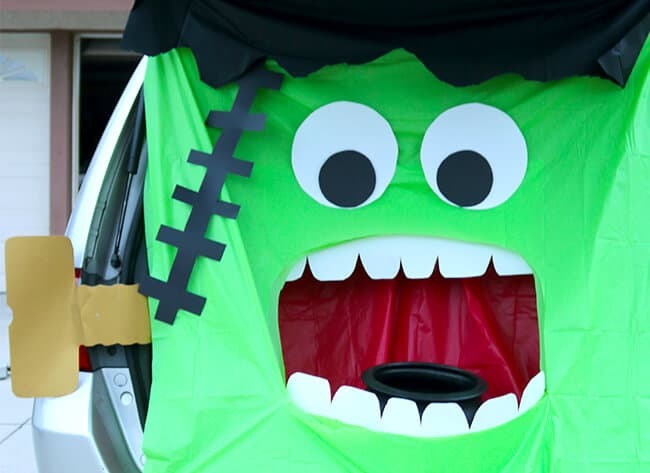 by using a red, green and black tablecloth, you can easily decorate your car as Frankenstein for Trunk or Treat. simply line the inside with the read tablecloth. then tape the green tablecloth over the opening. cut the mouth of Frankenstein open to reveal the red. using cardstock, cut out eyes, teeth, bolts for the ears, and a scar for his face.tape those on, and use the black tablecloth to create the hair. be creative! anything goes. 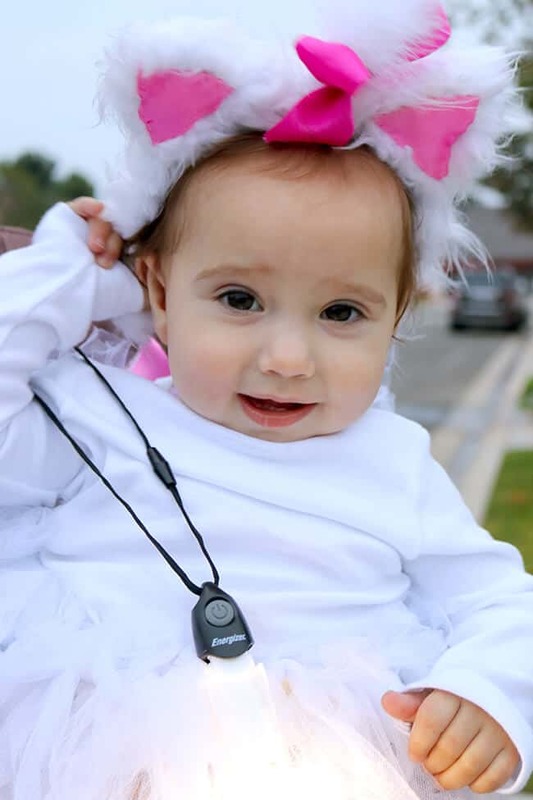 no matter what the costume is, it is really important to make sure the kids can be seen by cars and other people when they are trick or treating. 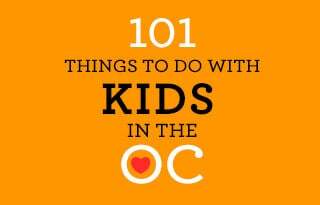 you don’t want to worry about your kids’ safety after dark. Energizer® knows how important this is, so they have suggested a few ideas. a headlight wrapped around the wrists gives the perfect glow. 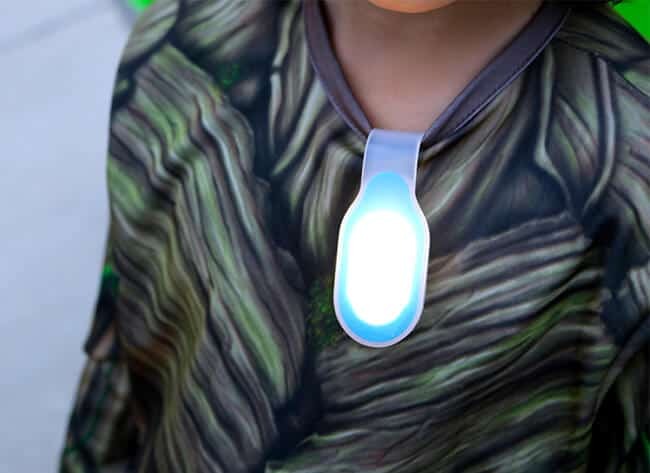 these Energizer® 2-in-1 Personal Light are hands-free and can illuminate after-dark activities (and keep little goblins from tripping!). you can wear them as a necklace or use them as a flashlight wand. i also like these Energizer® LED Magnet Lights. they easily clip onto costumes with magnetic force. no worrying about pins or hooks. 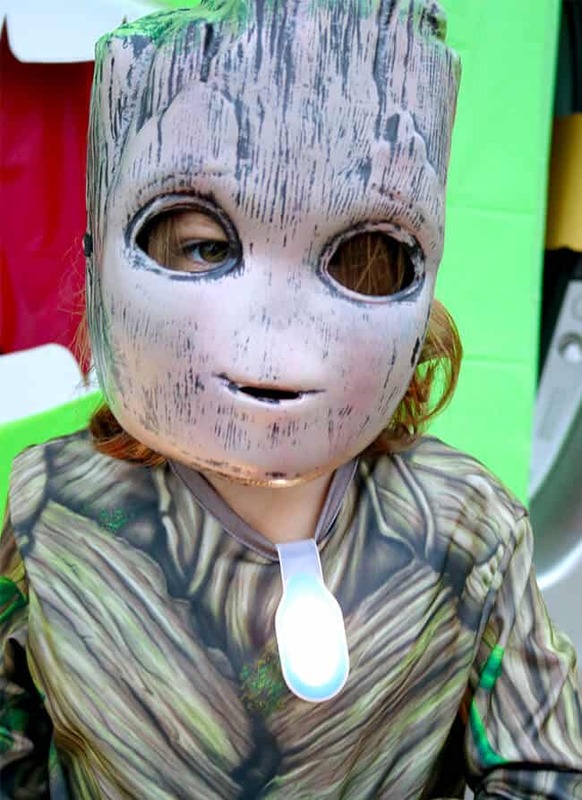 its a great idea to place one on the front AND back of your child’s costume. 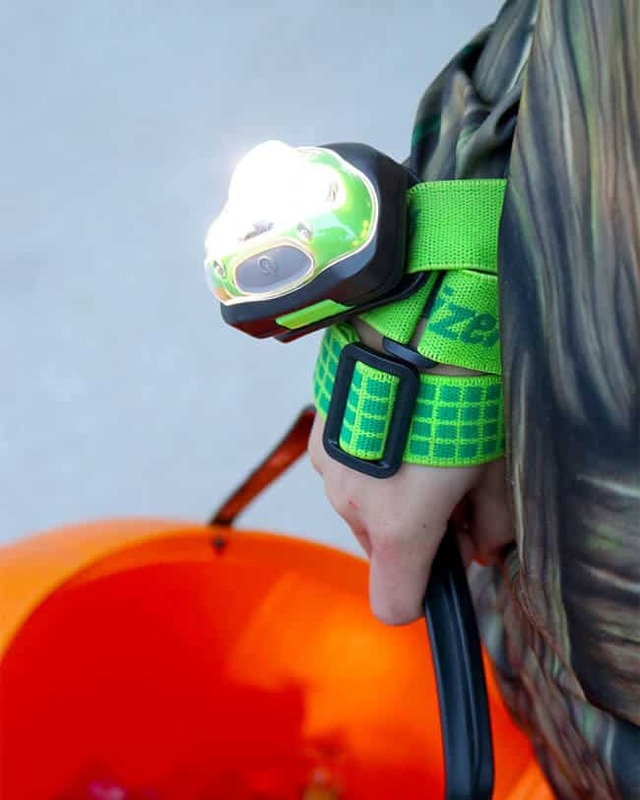 you can also pair any of these lights up with a handheld flashlight or lantern. there can never be enough light during the dark hours of Halloween. 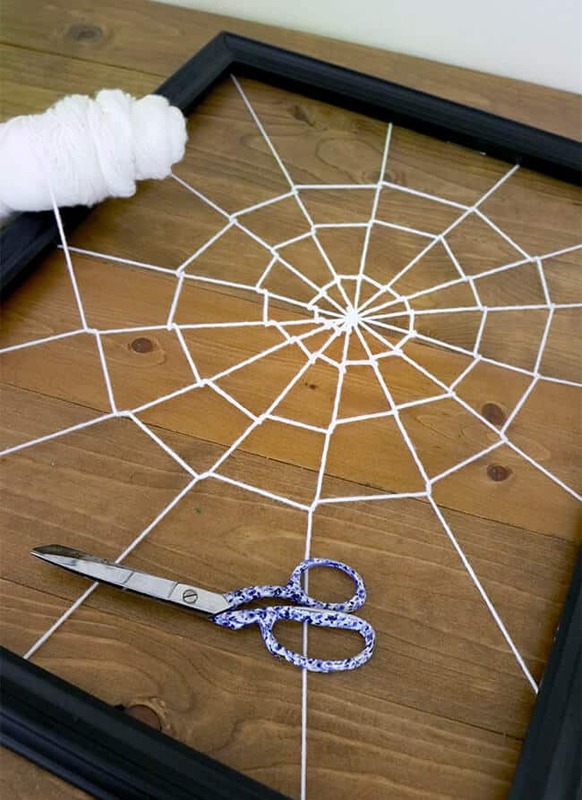 remember that spider web frame?!!!! 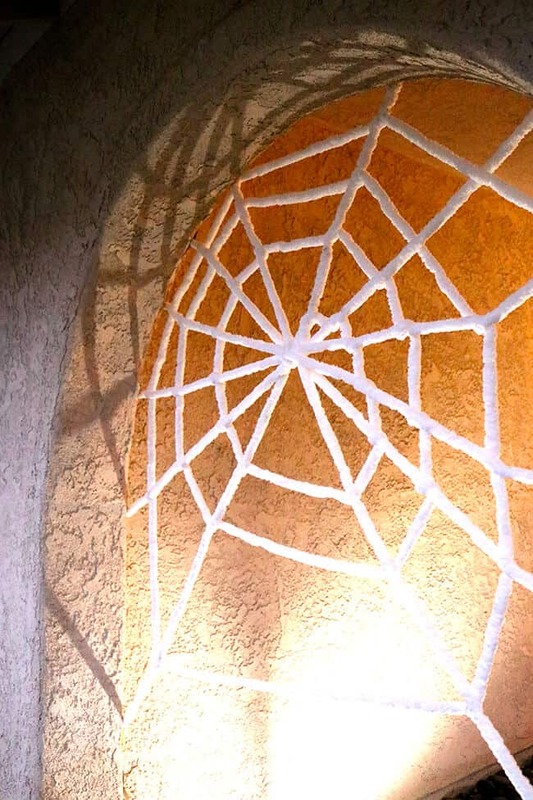 you can also use the same concept to make a giant spiderweb on your front entrance. 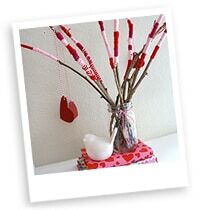 just use extra thick yarn which is available at the craft store and strong duct tape. you can let the neighbors know you’re in the spirit by adding a festive glow to your entrance Energizer® Weatheready® 360º LED Area Light. i LOVE how this turned out. 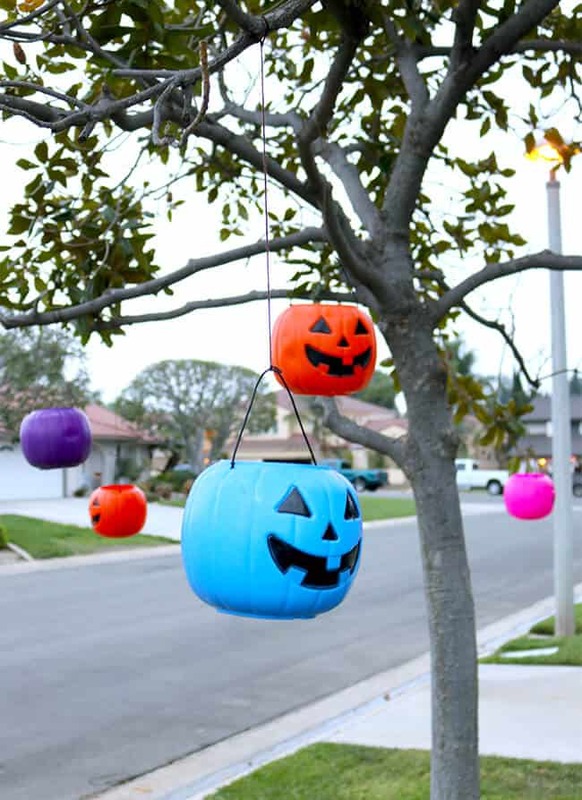 finally, if you are looking for another fun and EASY way to decorate your home and add some Halloween glow, how about hanging some jack-o-lantern break buckets in the trees. 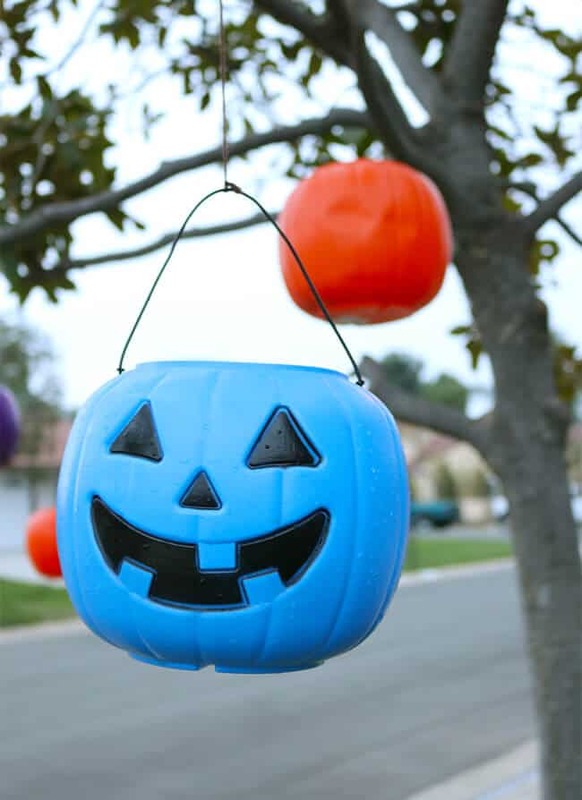 using fishing line or yarn, tie the jack-o-lanterns to tree branches or anything else around the house. when it is dark, place your choice of one of the Energizer LED lights into each of them, and you will have flying glowing pumpkins! i love this trick because it is inexpensive and still looks super cool. i hope you enjoyed these Halloween tips! i had a lot of fun sharing them with you. don’t forget to head over to my Facebook Page to watch them LIVE. 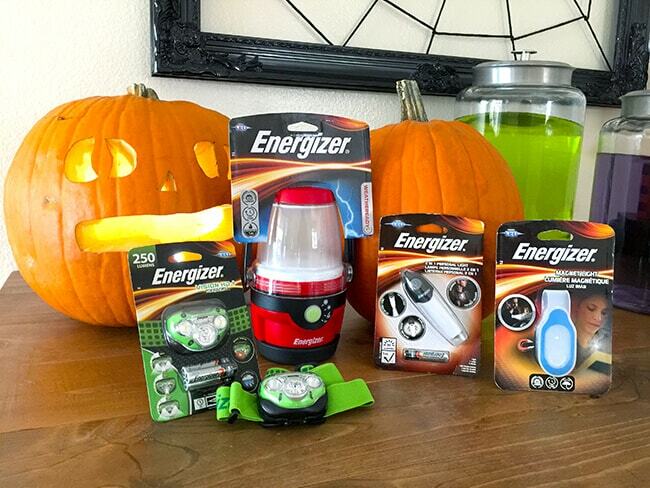 have a fun a safe Halloween, please let Energizer light your way to a fun and safe Halloween night! 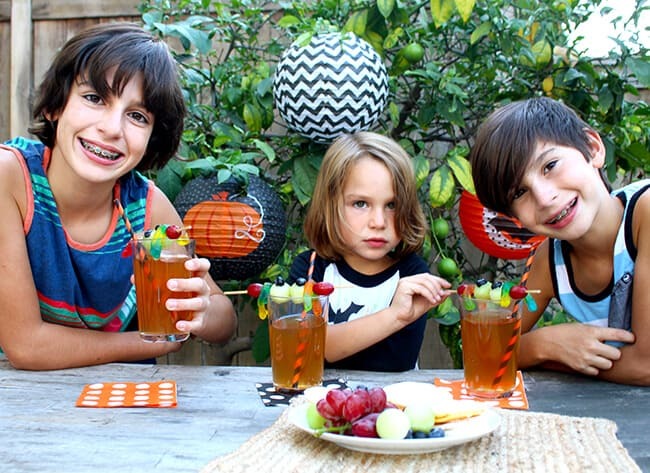 today the boys and i had some fun in the kitchen and came up with a fun Halloween afternoon snack that is also great for Halloween parties or anytime you want to have a spooky treat. Juicy Juice sent over some of their 100% juices. so we decided it would be fun to come up with a Halloween juice recipe. and we sure did. Spooky Halloween Juice Sparklers! 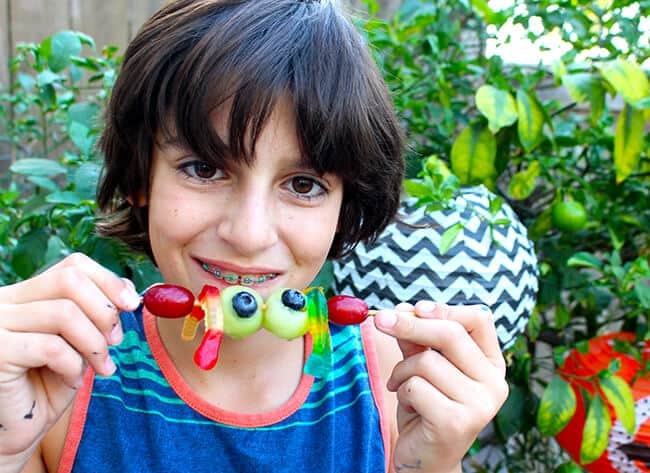 the boys helped me come up with the Spooky Eyeball Fruit Kabobs that top off the Juicy Juice Sparklers that we made using a couple of Juicy Juice’s 16 flavors. they turned out super awesome, much better than expected. so i really want to share how you make them. 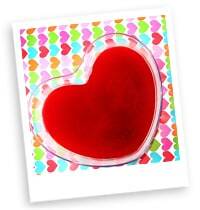 plus, the great thing about this recipe is that it is made with Juicy Juice. 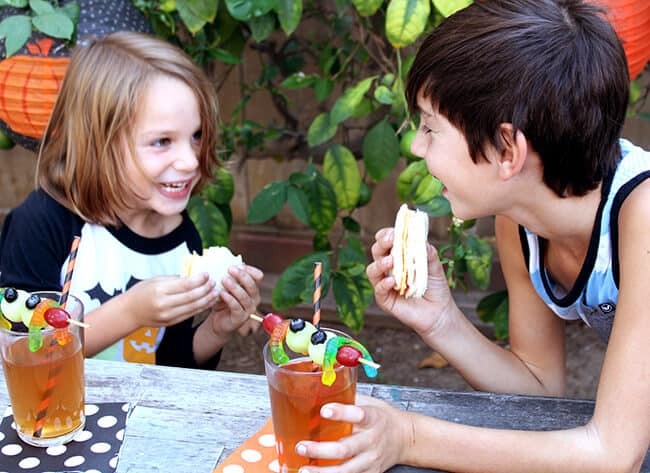 with all the treats and candy kids get during the Halloween season, the last thing you want to give them is a soft drink or punch. 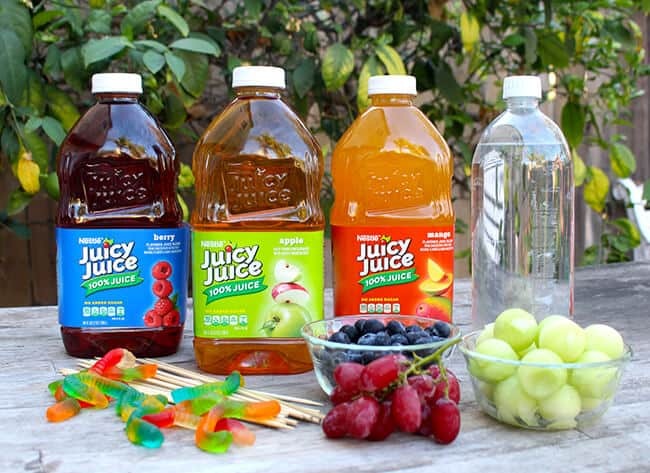 Juicy Juice contains no high fructose corn syrup, cane sugar or artificial sweeteners. 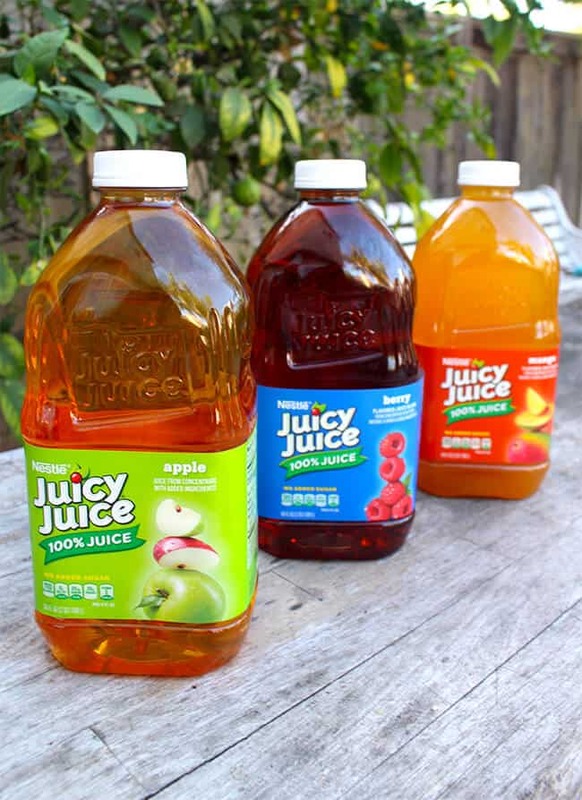 a recent “Truth in Juice” nationwide survey conducted by Juicy Juice revealed confusion in the juice aisle, so Juicy Juice has created a tool on their website to help moms and dads read labels on their juices to really understand what they’re giving their kids. 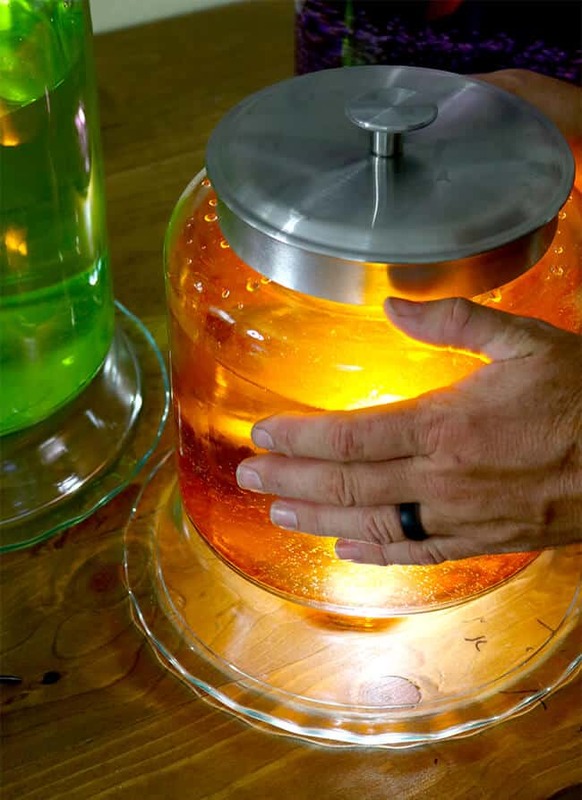 now, how to make your own Spooky Juice Sparklers. this is actually a snack and a beverage in one. all you need is: 2 of your favorite flavors of Juicy Juice, seltzer water, melon balls, grapes, blueberries, gummy worms and wooden bamboo skewers. 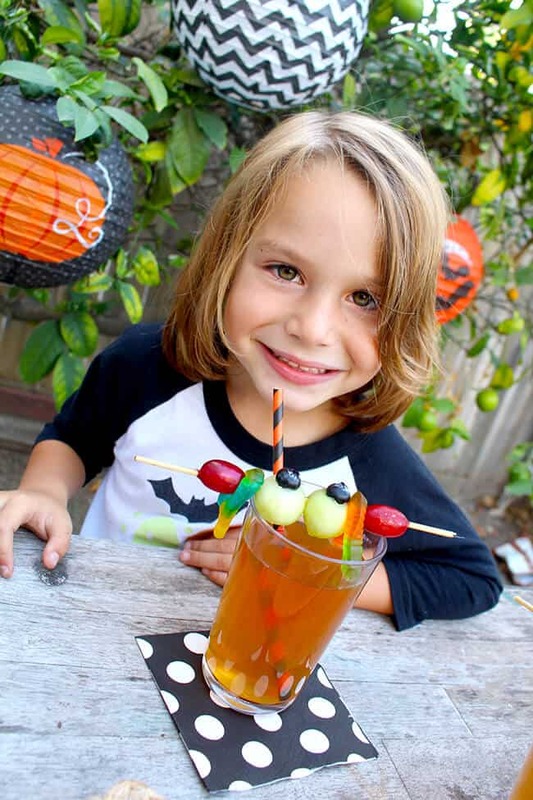 first you want to make the Spooky Fruit Kabobs. using a straw or small spoon, scoop a hole in two melon balls big enough for a blueberry. 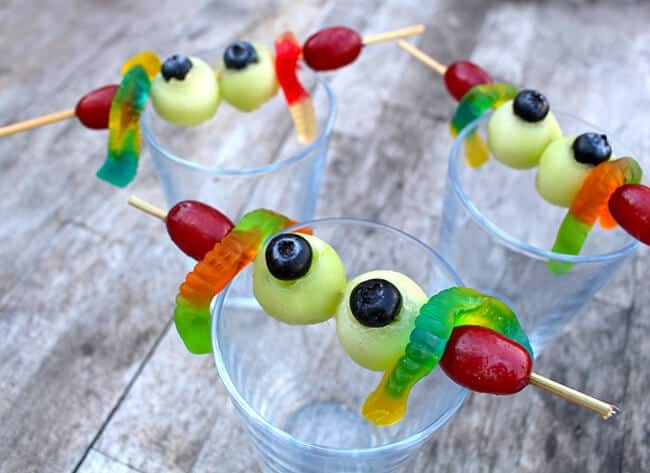 these will be the “eye balls.” on a wooden skewer, slide both melon eyeballs and two grapes onto the skewer. 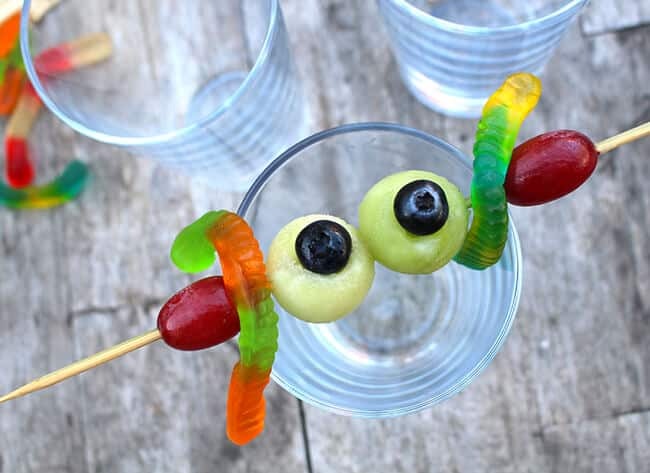 lay the skewer across the drinking glass and lay two gummy worms across. if you would rather use pieces of fruit roll up or carrot strips, those work great too. after you make the Spooky Fruit Kabobs. it’s time to make the sparkling juice. pour equal parts of two Juicy Juice flavors and seltzer water into each glass. your Spooky Juice Sparklers are now complete! 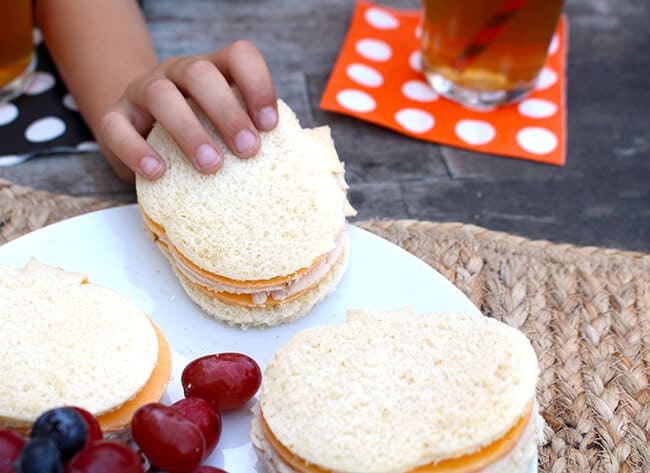 super easy and so simple to make. even the kiddies can help. 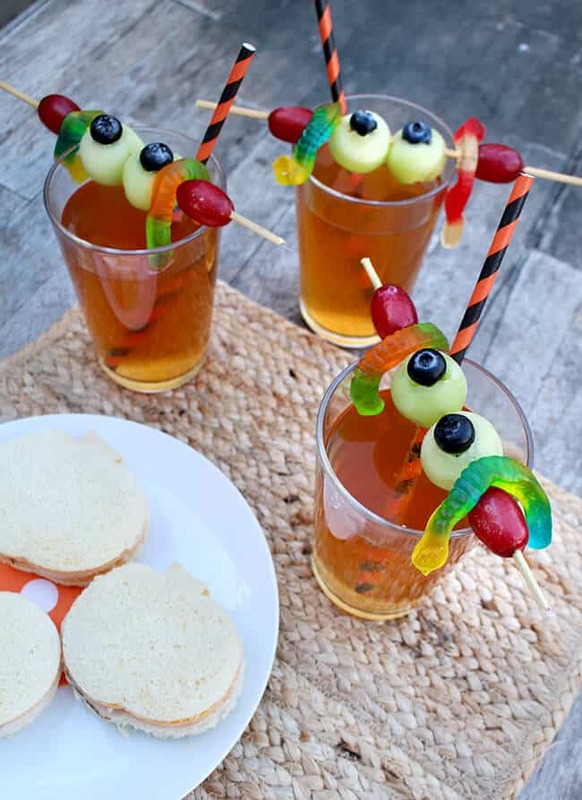 pair the Spooky Juice Sparklers with a Halloween shaped sandwich or other Halloween snack and surprise the kiddies with an after school Halloween surprise or make them for your schools class parties. my boys loved them! especially because the Juicy Juice was “bubbly,” and it tastes extra fancy when you mix two flavors of juice. and the Spooky Fruit Kabobs were yummy too! 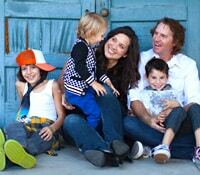 you can get Juicy Juice and all the ingredients at your local grocery store, Target and Walmart. 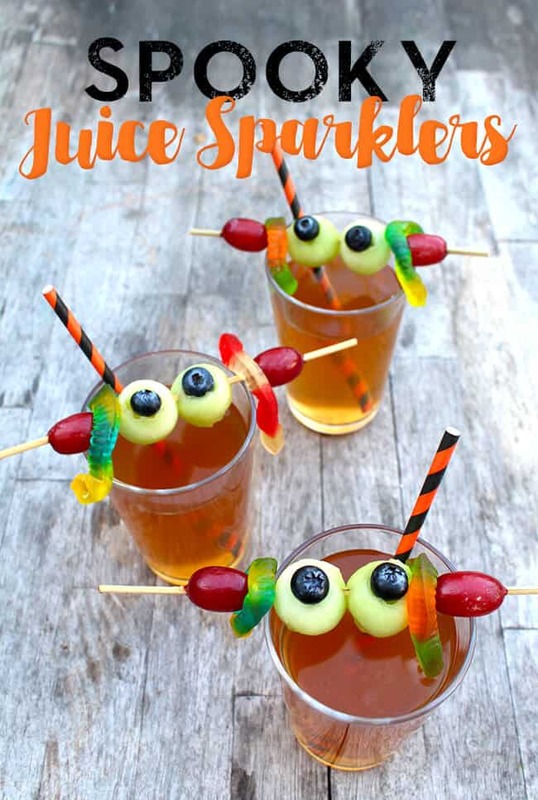 i hope you enjoyed our recipe for Spooky Juice Sparklers. we sure enjoyed them. finally, how about a chance to win a $5o gift card instantly! just click the image below and you’ll be directly to the Juicy Juice Fall “Match and Win” game. rules and regulations will also be found there. good luck! 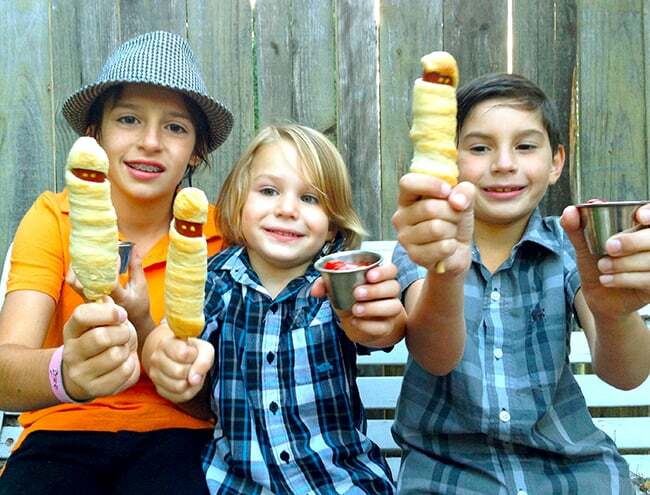 if you are looking for a quick and easy Halloween dinner idea, these Mummy Hotdogs are just that. i made these for my Halloween party, and the boys (and everyone else) really enjoyed them. all you need to make them are hotdogs (i used organic turkey dogs) and then breadstick or pizza dough. the dough that pops out of a can will work just fine. 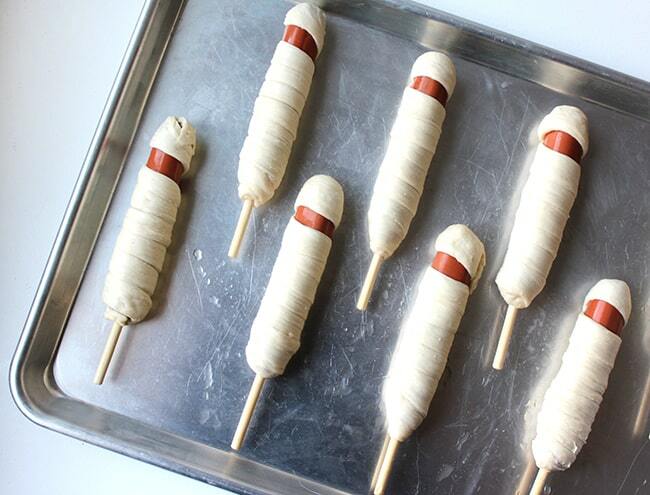 also, if you can get some sticks, it will make these Mummy Hotdogs a little easier to make, and will also give the kiddies something to hold them with. (i found that the caramel apple sticks i found at my local craft store worked perfectly). first, you will want to insert the sticks into the hotdogs. then take a piece of breadstick dough, and hold it at the bottom of the hotdog where you inserted the stick. now start twisting it around the hotdog, stretching as you go. when you get near the top, skip an area for the face, and stretch the rest of the dough over the top to cover the mommy’s head. when you have wrapped up all your hotdogs in the dough, place them into a preheated 350º oven and bake until the dough is golden brown. approximately 10-15 minutes. once they are cooked, use a toothpick to add mustard eyes to complete your mummy look. serve them with dipping sauces like ketchup, mustard or nacho cheese. they will be perfect to eat for family dinners or at a Halloween party. 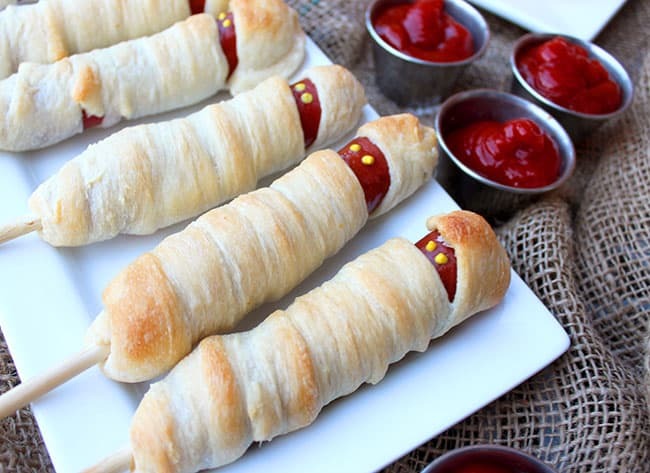 aren’t these just the cutest little Mummy Hotdogs. HAPPY HALLOWEEN! 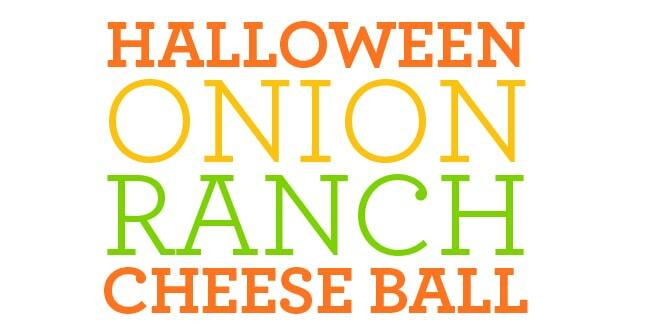 this Pumpkin Shaped Onion & Ranch Cheese Ball made the perfect appetizer for my Halloween party. the kids and adults devoured it, they liked it so much. i love cheese balls, and had the idea to make one in the shape of a pumpkin. i decided that carrots would make the perfect coating to give it the right color, and since my boys like ranch flavor, i decided to make it with ranch dressing mix. i just love how it turned out. and the flavor was perfect. nice and flavorful with the ranch and green onions, but nice and mild so it was a crowd pleaser. i will be making this again and again. 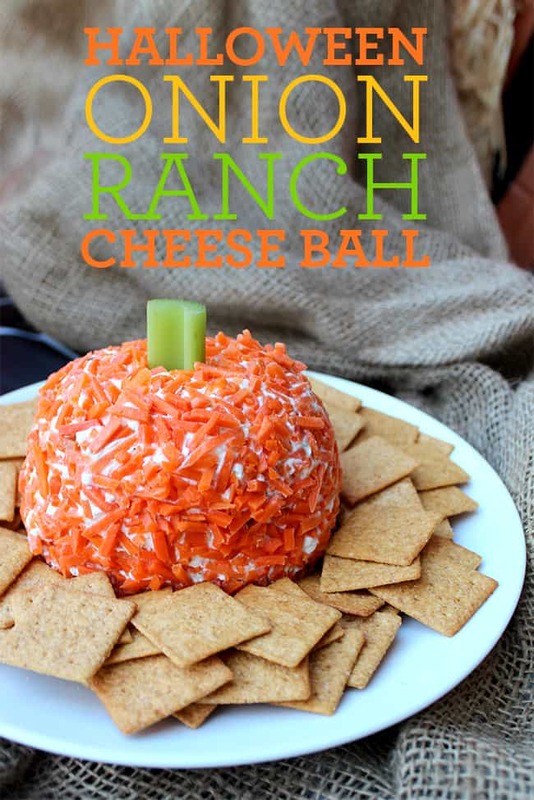 to make this Pumpkin Shaped Ranch & Onion Cheese Ball, all you need is 2 cups cream cheese, 1-1/2 cups shredded cheese, 3/4 packet Ranch Dressing mix, and 1/4 cup chopped green onions. combine all the ingredients until fully combined. then scoop the cheese filling onto a piece of plastic wrap. wrap it up, an place into the refrigerator until it has chilled and hardened a bit. 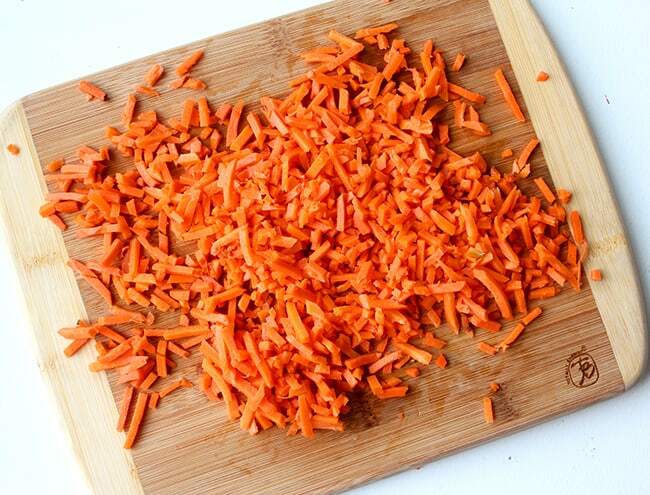 next, chop some shredded carrot up into small pieces. 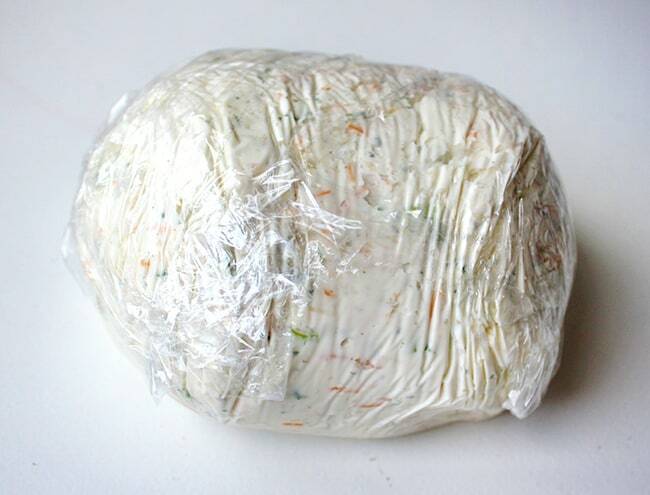 carefully unwrap the plastic wrap from the cold cheese ball, and place it on the bed of carrots. 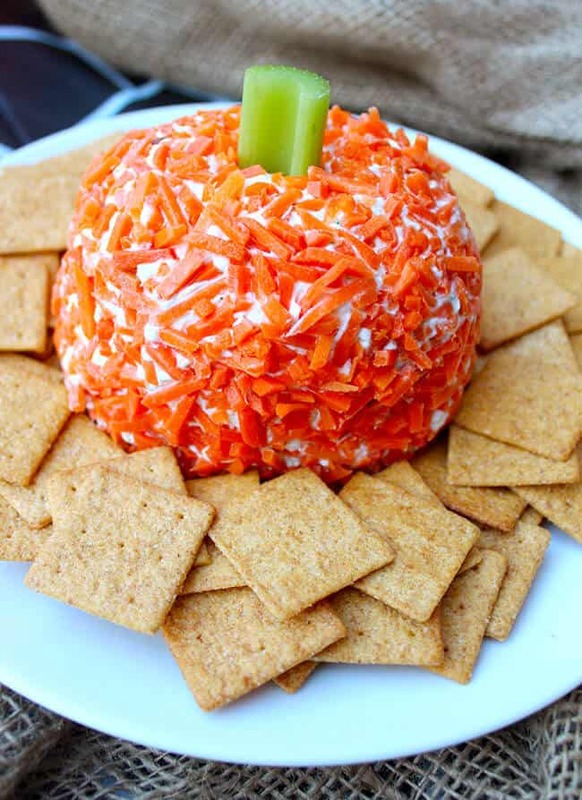 with your hand, coat the carrots onto the cheese ball. 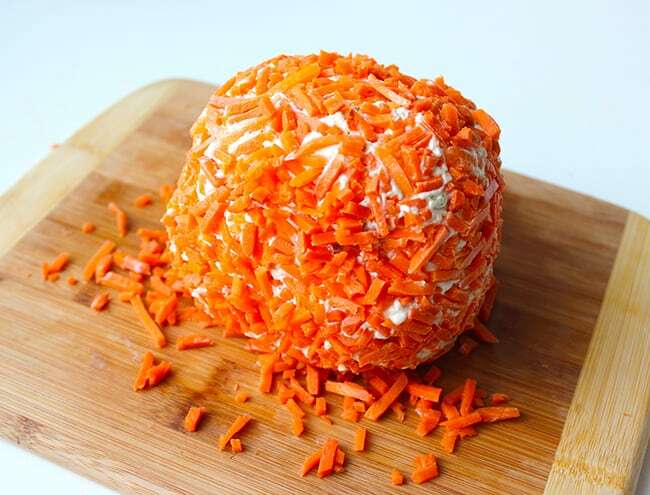 then roll the cheese ball around in the carrots to make it nice and round and to full coat it in the carrots. 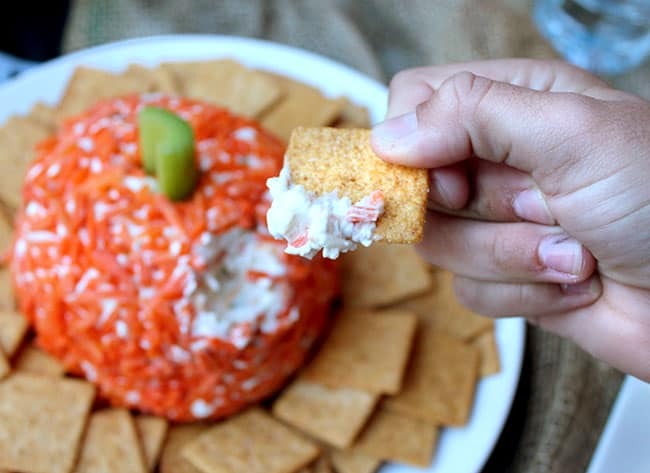 the finishing touch will be to place a small piece of celery on the top of your cheese ball pumpkin. serve with crackers or chips….i prefer Wheat Thins. enjoy! this festive pumpkin shaped cheese ball is perfect for any Halloween or Thankgiving party, or anytime of the year. you can coat it in cracker crumbs, or nuts if you would prefer it not look like a pumpkin. it’s really yummy! 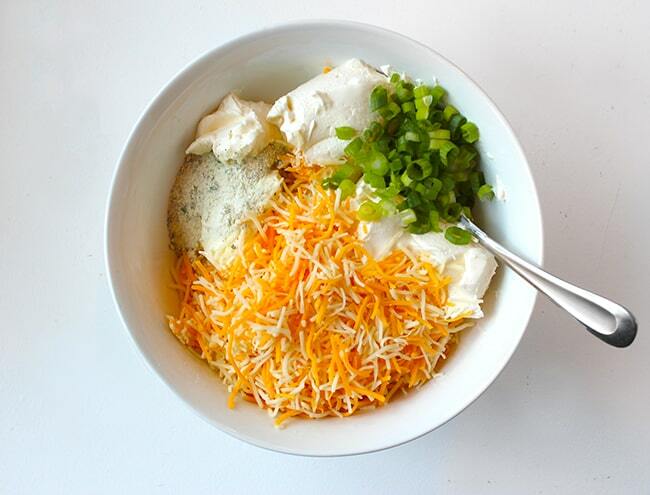 to make it, all you need is 2 cups cream cheese, 1-1/2 cups shredded cheese, 3/4 packet Ranch Dressing mix, and 1/4 cup chopped green onions. mix all the ingredients together and form a ball on plastic wrap. wrap it up and place in the refrigerator for a few hours. once chilled, roll in shredded carrots and place a piece of celery in the top for the pumpkin stem. keep chilled until ready to serve. 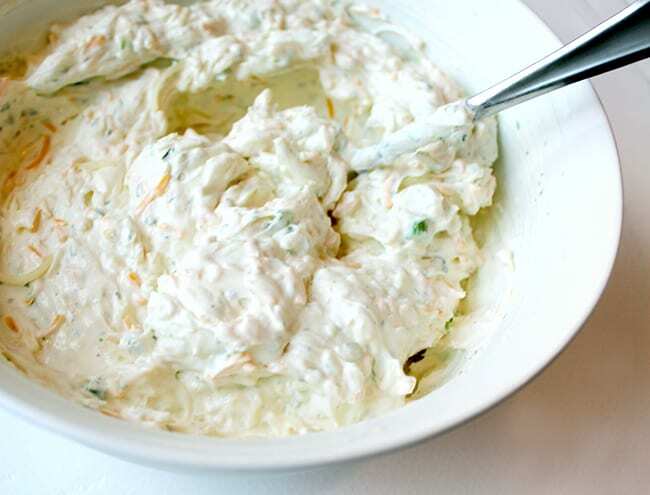 and make sure to serve it with Wheat Thins, they make the best dippers and taste great with this dip. This post was sponsored by CollectiveBias and its advertiser. All opinions are mine alone. every year i end up being the room mom for one of my boy’s classes at school. with that, i take on the duty of planning the class party for each holiday. 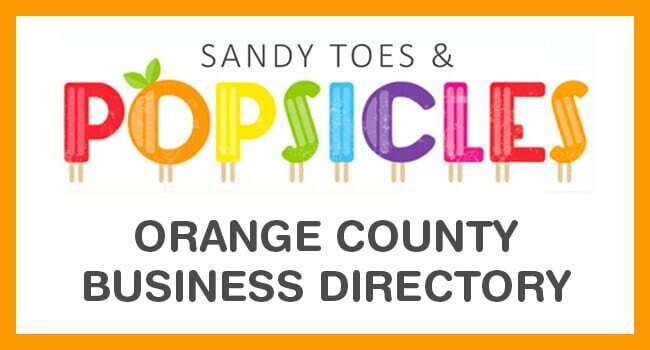 i am always looking to doing a fun themed treat….but the key is, that it must be easy to make as there are 30 kids in the class….who has time to get super fancy with these big class parties! 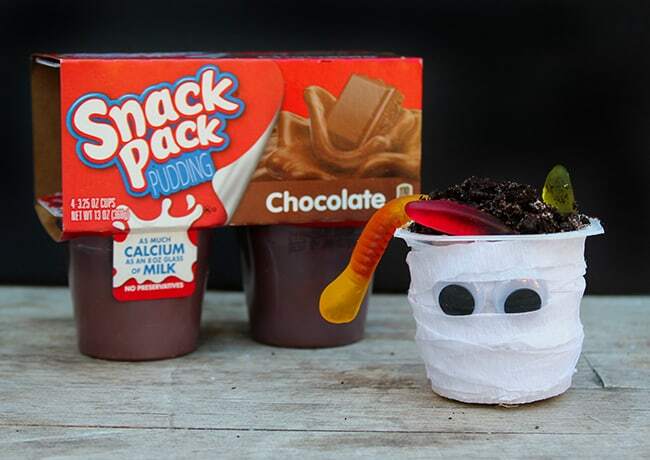 these Snack Pack Pudding Cup Mummies are perfect, they are fun for Halloween and really easy to make. 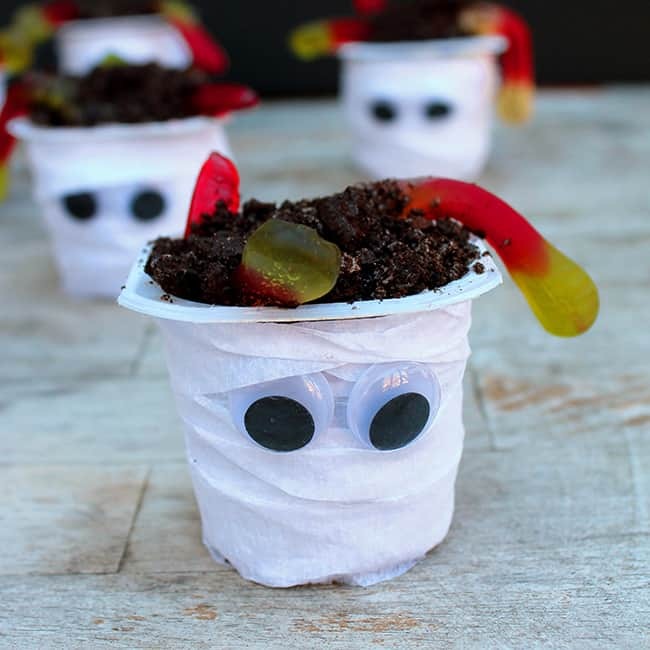 i also like that you can prepare the mummy details far in advance of the party and just add the mix ins or toppings the day of. 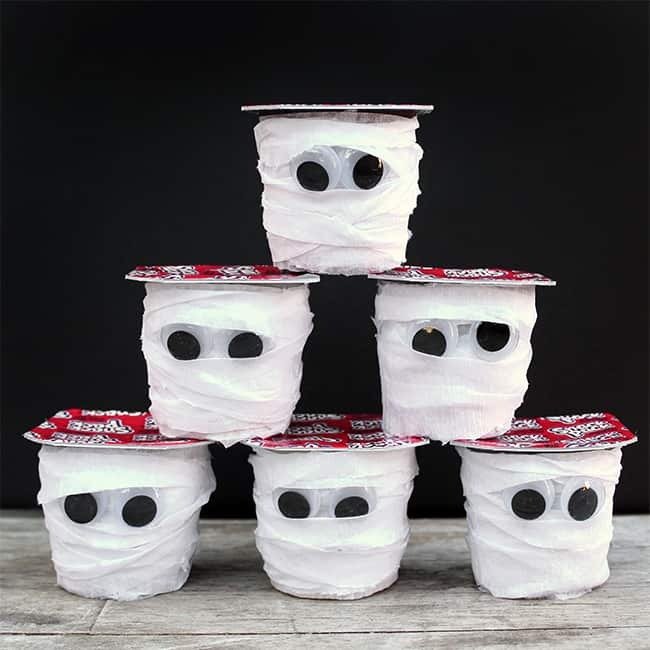 to make these Snack Pack Pudding Cup Mummies, you will need: Snack Pack Pudding Cups, white crepe paper streamers, googley eyes, hot glue gun with glue, or tape. first, with a serrated knife, slice the crepe paper in half as shown. 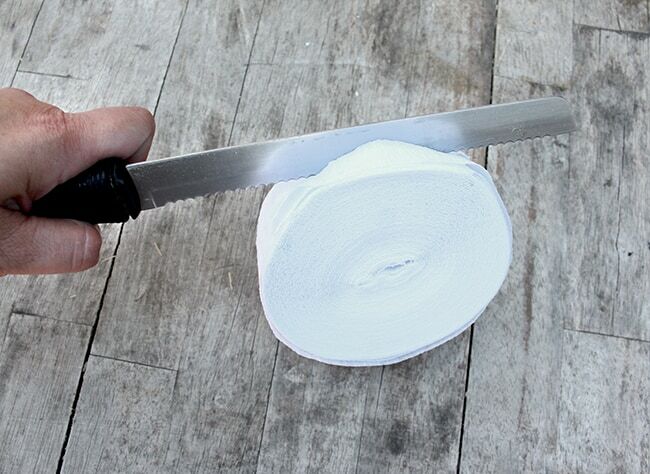 this will make the crepe paper the perfect size to start wrapping your Snack Pack like a mummy. 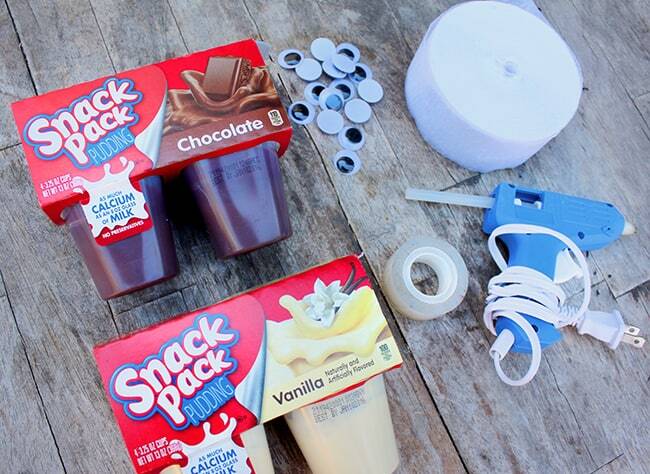 to start making your pudding cup mummy, glue the end of the crepe paper to the Snack Pack with hot glue or tape. 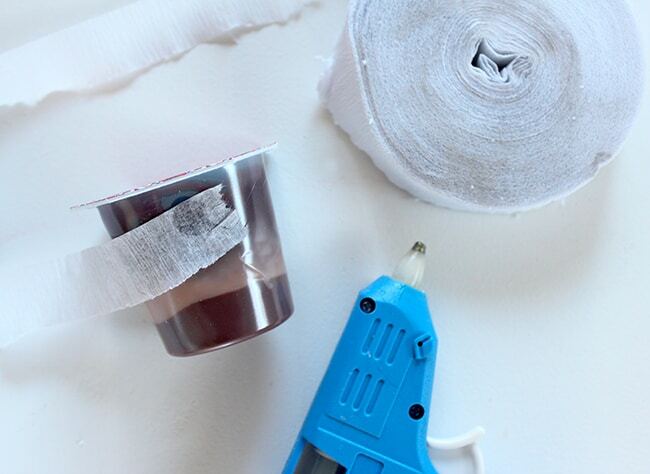 i have found that you can do this entire project with just using hot glue and no tape. 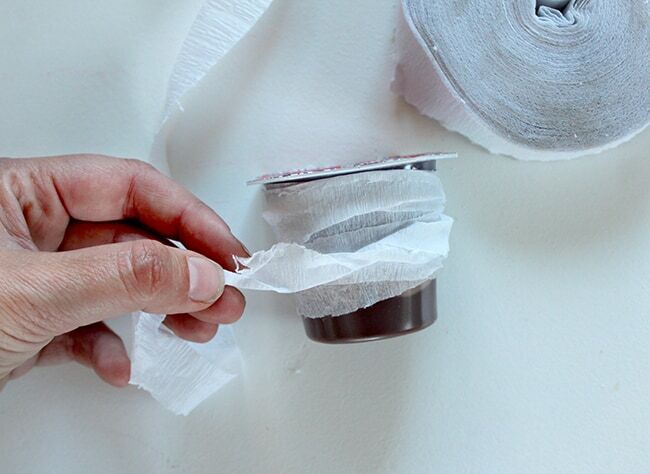 now you can start wrapping the crepe paper around the Snack Pack Pudding Cup. you don’t need to keep the crepe paper smooth, in fact it looks more like a mummy if you let it twist and fold as you wrap it. once you have wrapped the Snack Pack completely, stop wrapping, but DO NOT break the crepe paper off yet, let it hang down. 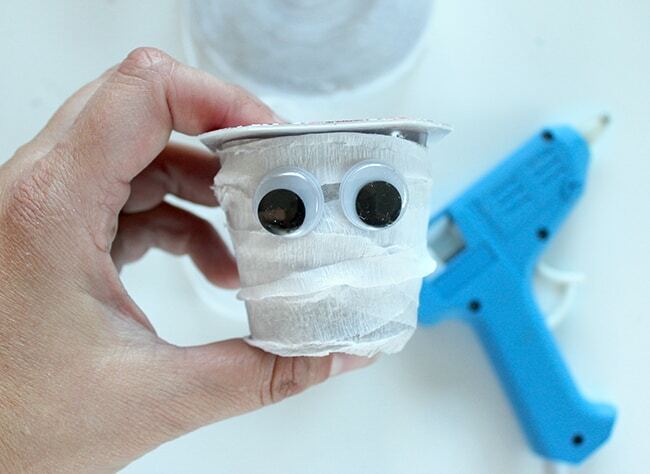 glue two eyes onto the Snack Pack with hot glue. 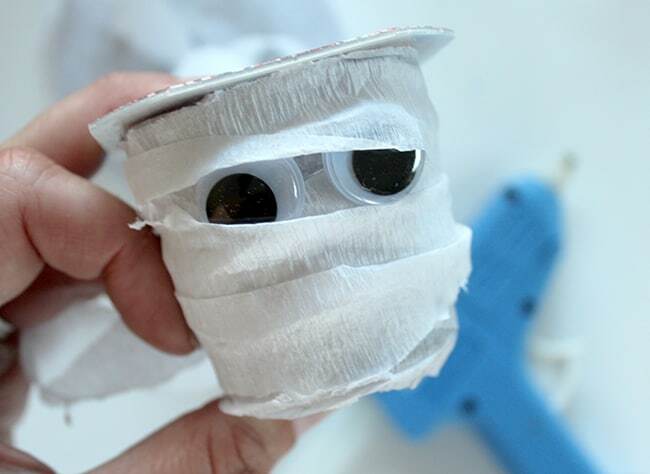 then continue wrapping the mummy with the crepe paper, allowing it to creep over the eyes on the top and bottom to make it look like the mummy’s eyes are peeking though. 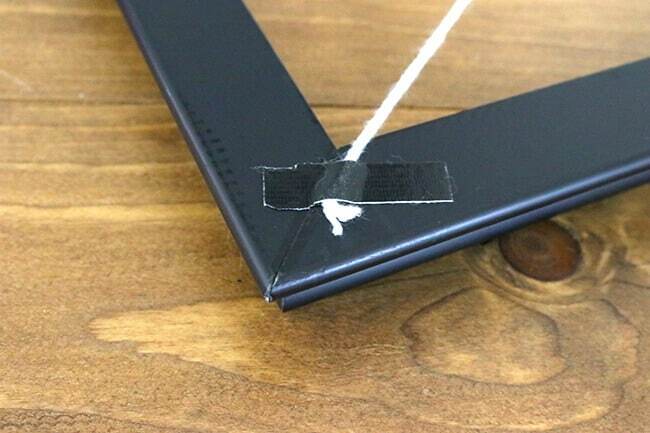 when you feel that you have wrapped enough, break off the end of the crepe paper and glue it to the back. simple as that, your mummy is complete! 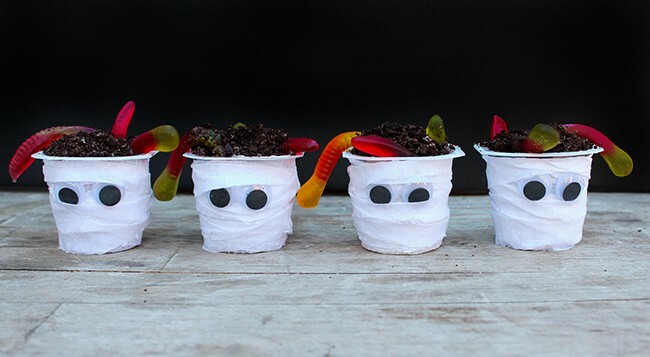 look how fun these little mummies look. 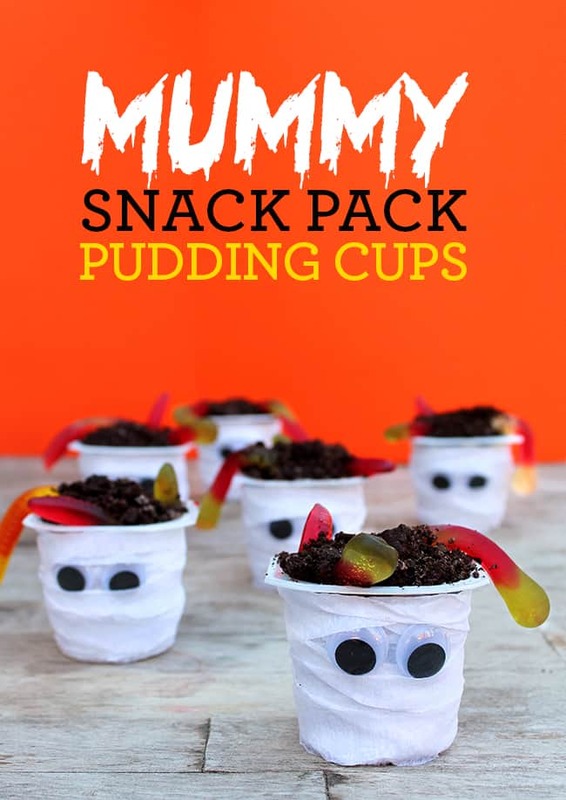 and if you want to add even more fun to your Snack Pack Pudding Cup Mummies, how about adding some mix ins. 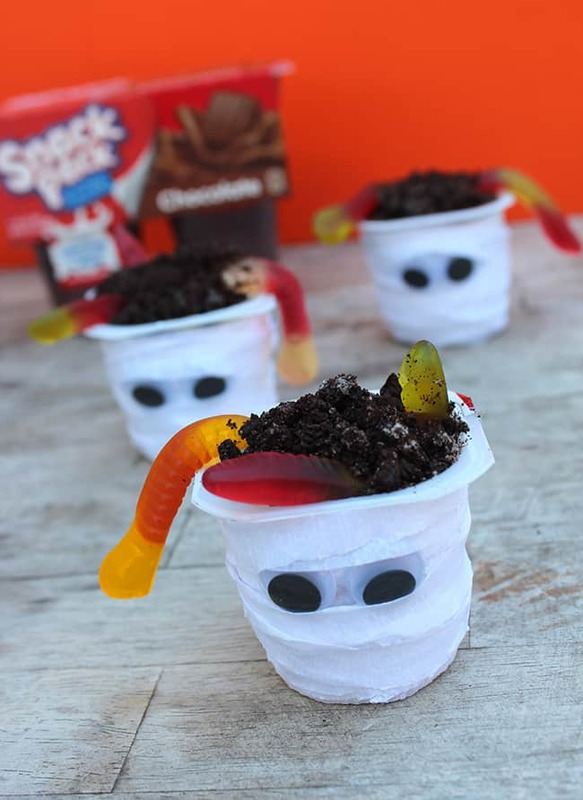 crushed Oreo cookies and some and some gummy worms will make your mummies a little more creepy. 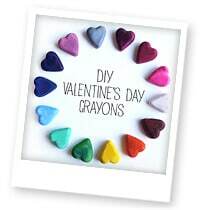 or for a fun class activity, let the kids add their own mix ins. Reddi Wip, Crunch n’ Munch Popcorn, Orville or ACT II Popcorn, Nutter Butter Cookies and Oreos Cookies make great mix ins and taste great with Snack Pack Pudding Cups. 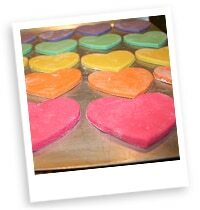 kids like creating their own treats, so they will think this is really fun. you can find all your Snack Pack Pudding Cup needs at your nearest Walmart store.